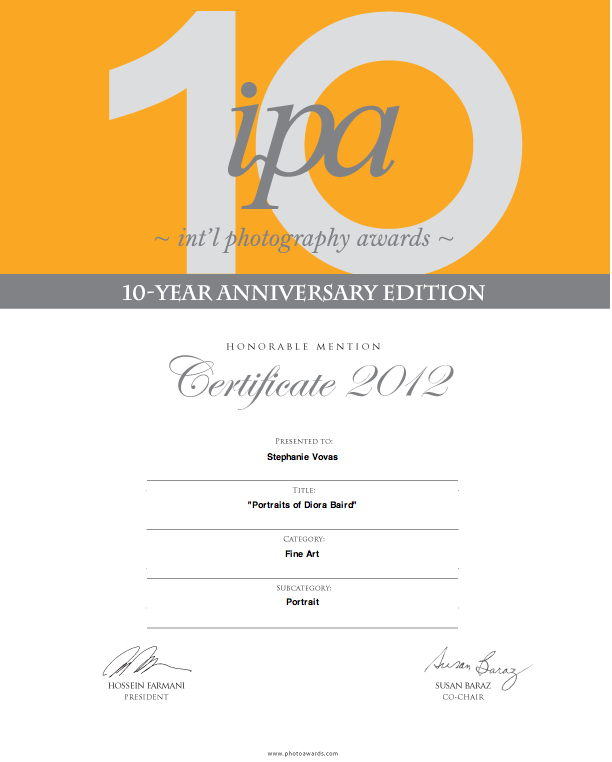 3 Honorable Mentions from IPA! Below is a press release from IPA. 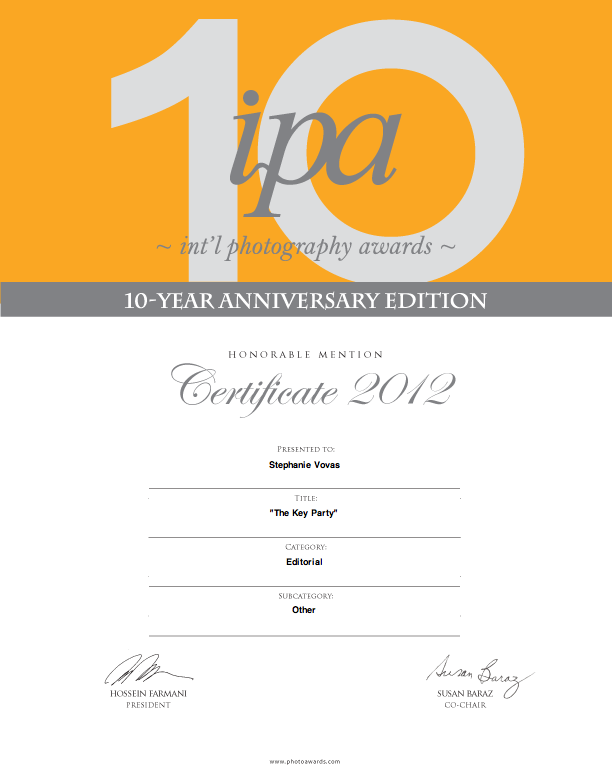 It is a dream to me to be recognized by IPA!! 2 awards are for my Key Party shoot for Treats Magazine, and another for my portraits of Diora Baird. Stephanie Vovas was awarded in the International Photography Awards Competition. 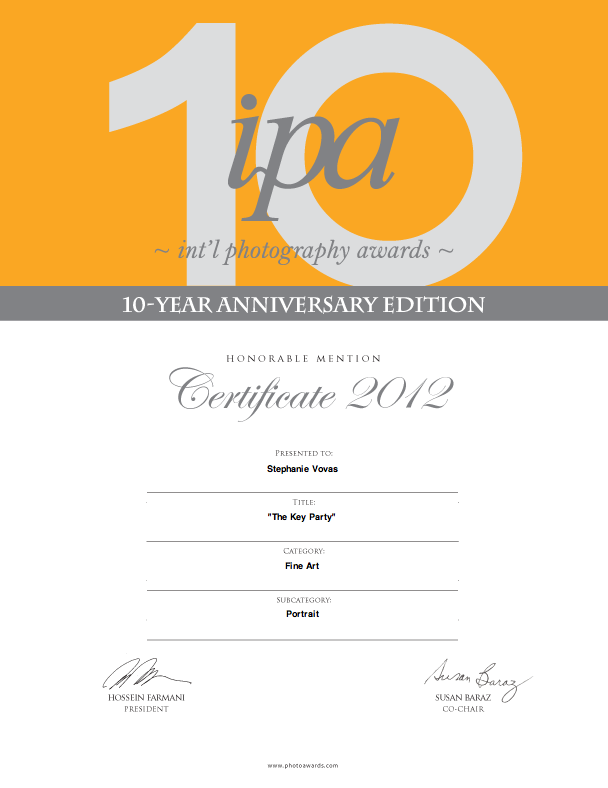 International Photography Awards (IPA) has announced the winners of 2012’s competition. You are currently browsing the archives for the Lucie Foundation category.